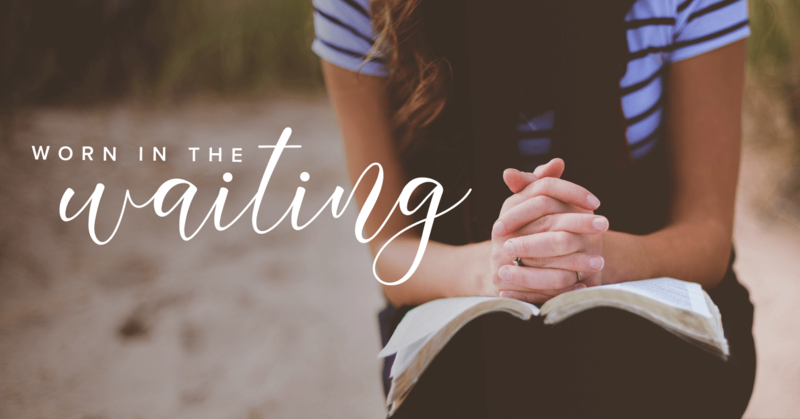 It’s taken me a while to gather my thoughts on the topic of singleness and assemble the etchings on my heart into a message I hope others could be encouraged by. Maybe I’ve drug my feet because I’ve been afraid of being vulnerable? Maybe it’s because I was afraid what I had to share wouldn’t be of any value? Whatever the reason, God has been nudging me recently to start a new study and I felt that this was the topic He desired me to dig into deeper. Are you ready for the ride? I’m excited to see what God will reveal to you, and especially to me through this study and I hope what He’s teaching me through it will also be an encouragement to you. Unaccepted: Not feeling like anyone desires you. Feeling like you don’t fit in anywhere. Uneasy: Hiding pain and worries wondering if your future spouse exists. Uncertainty: Discovering joy in a hopeless situation amidst the uncertainty of God’s plan. Unsuccessful: Finding purpose in your current season and your unique value. Singleness is something I have found myself in, for what seems like an eternity. Being 26 and never being in an official relationship has left me feeling hopeless, restless and unworthy. Over the course of being single, I have often found myself viewing this label of singleness as a flaw, but I’ve been trying to find a new perspective on this label society has placed ever so obviously on my forehead. The label that I once viewed so defining of my worth. A label I once thought as defining me as unworthy. Unacceptable. Unpopular. Unattractive. Unsuccessful. I’ll be getting into the other topics related to singleness in the following posts, but first off I wanted to focus on feeling unaccepted. Let’s get started! With the experience I’ve had amidst singleness, feeling unaccepted is one of the primary emotions I have encountered. Whether it’s feeling unaccepted by a previous relationship ending or feeling out of place in a group of friends who are dating, singleness can make you doubt your worth. Society, social media and small talk has infiltrated our minds with the idealism that being married is the solution to our happiness and success. While marriage is ordained by God, it can often feel like a remedy to our unhappy state. Marriage won’t be the quick fix to all your problems, you’ll just have different problems to deal with. Each stage of life brings it’s own worries and dilemmas. Maybe you look around and see couples appearing to be in the prime of their perfect lives, leaving you feeling numbed by the pain of singleness. Their lives are filled with enjoyable opportunities of growing closer to one another, appearing to be successful and content. Meanwhile, your nights are spent snuggled up on the couch eating chocolate cake to help you swallow the pain easier. It’s like that awkward middle school girl in me never grew up. Sometimes I wonder if I’ll ever grow out of it. The label of being the last one picked to be on the volleyball team in gym class feels like it will always define me. I’ll never be accepted, wanted or deemed worthy enough of being chosen. I’ll always be the one left standing alone, waiting for someone to love me for just being me. It’s taken a lot of heartache and endless tears to help me learn the hard way that acceptance doesn’t define worth. It’s such a simple truth, but saying it and believing it was something I truly struggled with during singleness. Just because you’re in a relationship never changes your worth in God’s eyes. If someone chooses to reject you, it does not distinguish your value. God never intended the presumptions of how others view us to overtake what is true. Nothing can change how God loves us. Even if everyone chooses to reject us, we can hold firmly to the truth that God is always accepting us with open arms. In the end, it doesn’t matter if we were accepted or loved by others. It doesn’t matter if we were viewed as attractive or charming. Their opinion of us doesn’t matter. Would we be more qualified in God’s eyes if others accepted us? Of course not! God loves us and chooses to use us based on our willingness and our heart, not by our acceptance among others, our abilities or our physical appearance. You may be loved by many, but in the end it’s only God’s approval that we should be seeking after. The next time you enter that classroom where it seems like you’re the odd one out, or there’s an event where everyone brings their significant other, just remember what defines your worth. Your worth isn’t found in another person, it is found in God. You may feel alone, like nobody is willing to accept the real you, but you can rest assured that the God who created you thinks that you’re something pretty special! God created you uniquely with a special purpose. Don’t doubt your worth by getting caught up in the lies of society, thinking that your life doesn’t amount to anything or you’re life is running behind schedule. When we’re following after God and seeking His will, He is providing us with all we need. Nothing is missing or out of place. Grasp onto the truth that the God who created you selected the very attributes, talents, abilities and even quirks, that make you exactly the way He desired you to be. You may be imperfect, but you are perfectly created and loved by Him; no one else’s opinion can ever change that!